Welcome to Pulse Infotech, our Logos creates high quality business logo design for all types of businesses all over the world. We have a highly creative professional logo designers and creative graphic designers, working to provide your organization with the most unique, sophisticated and modern company business logo design. We combine all our creative skills to provide you with a custom logo design which will portray your company’s philosophy and business identity. At Pulse Infotech, we value both creativity and diversity. Our logo design team is comprised of designers from diverse ethnic backgrounds and age groups and all our Logo designers work full time in the company’s studio. A team of 2 to 4 designers collaborate on each logo design project, combining their diverse skills, talent, and experience to create a logo design that is suitable for any kind of company. We have an open, flexible approach to corporate logo design and draw from a wide variety of styles to create the logo image you want. We will provide you with 6 to 8 different logo design samples based on your field of business and your preferences. At Brio Factors, we believe in working closely with the client to build a logo design around your company’s image, identity and philosophy. Uniqueness is what we actually aim for. We offer you a logo that reflects your business in a special way. 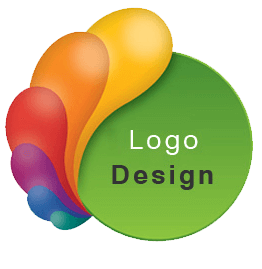 We offer you a logo design that looks perfect in every medium whether it is a business card or a website. A perfect logo reflects a company’s values and culture.